We export our product all over the world. All our products are handmade in Nepal. We also keep large stock of items in our warehouse Kathmandu. Wholesaler, importer and retailer are welcome to trade with us. 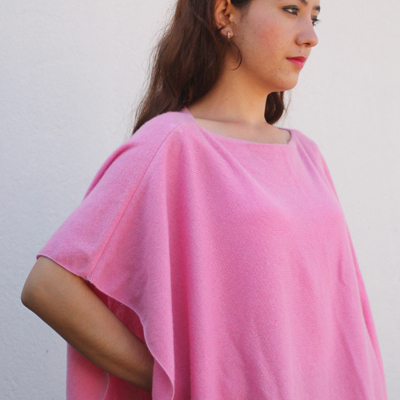 I have seen the craftsmanship of making pashmina and cashmere garments from the age of eighteen since it has been one of our small home-based-family business that has supported our livelihood. There was a trend of establishing such kinds of small businesses in Kathmandu during the 1990s. Unfortunately, our business closed down due to some unavoidable circumstances soon thereafter likewise many others factory too. These things has been always clicking in my mind. In 2004, I restarted this business in very low paced manner finally I speed up this business from 2014 with the state of art facilities. I spend many years to providing training to local womens about knitting, crafting and weaving, slowly I bring them into High Skilled Craftmanship with the strong work ethic which makes our thousands of customers very happy. It is really matter of pride that these village women who would have just been limited to being housewives are now dexterous and their creations as sold through from our many suppliers, outlet and online store. This indeed gives me a sense of happiness and satisfaction that my small effort is gradually catching some mileage..
Nepal is also popular Weavings & Knitting product due to its use of natural fabric and laborious hand work. For centuries, the mountain people of Nepal have had to depend on the fabric they wove for warmth, for easy travel, and for survival. In many high mountain areas and semi-tropical jungles, they continue to weave what they wear. The art of weaving in pashmina and cashmere wool, sheep wool, or vegetable products by hand has been practiced throughout the country remains popular today as its rugged conditions have not changed. In the Hill women's dhaka shawls, silk shawls, blanket productoin is stil major part of womens economic development. Local Newar community from Kathmandu, Bhaktapur and Lalitpur are still doing trade of weaving and knitting.